Bowen island activities you shouldn't miss, fun things to do, and lots of tips! We know that travelling and visiting a new place can be confusing and challenging. 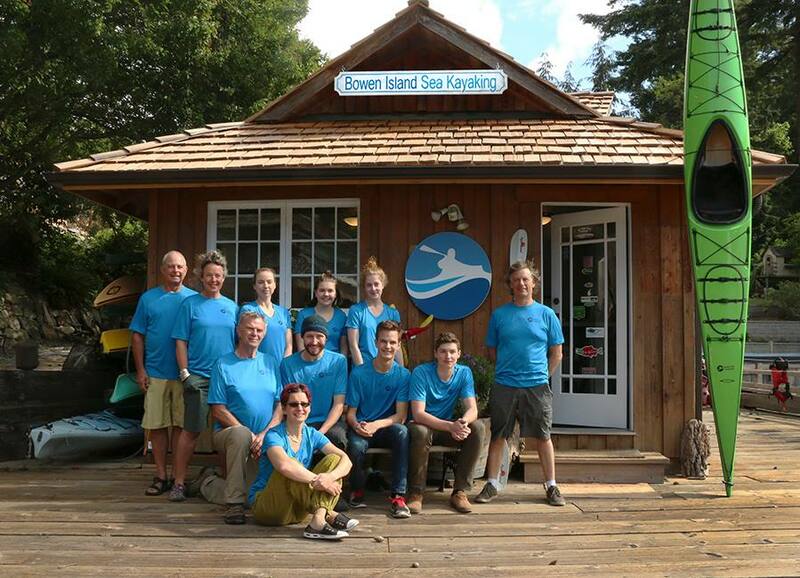 Bowen Island Tours is here to help you make the most of your visit and we are happy to share our knowledge and experience. Please contact us if you have questions or would like more information about any of our regularly scheduled tours. We welcome private and group requests and our bespoke trip planning provides you with custom options, too. 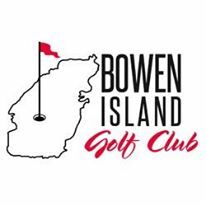 Go hear to learn more about the Bowen tours.......there is so much to learn. 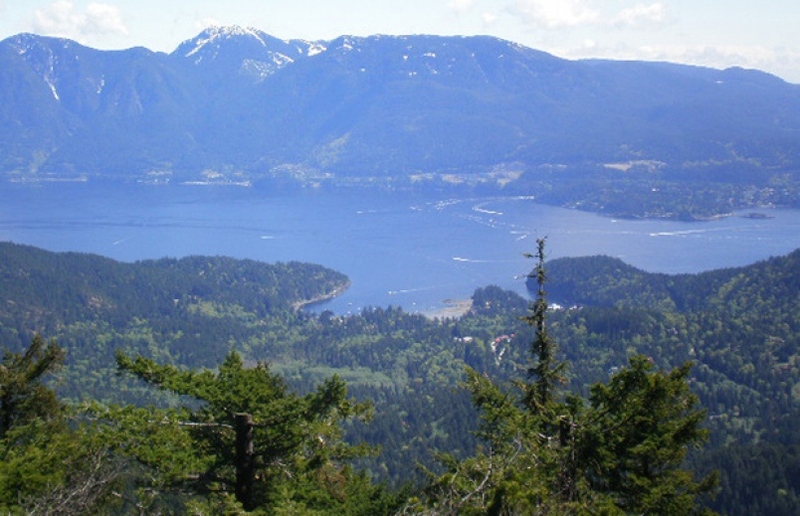 BOWEN ISLAND IS A NATURAL WONDERLAND AND THE NEAREST TO VANCOUVER OF ALL THE SOUTHERN GULF ISLANDS. WHAT BETTER WAY TO EXPLORE THAN BY KAYAK? We also rent paddle boards, among the fastest growing sports of all time and surf skis, for the more experienced paddler. 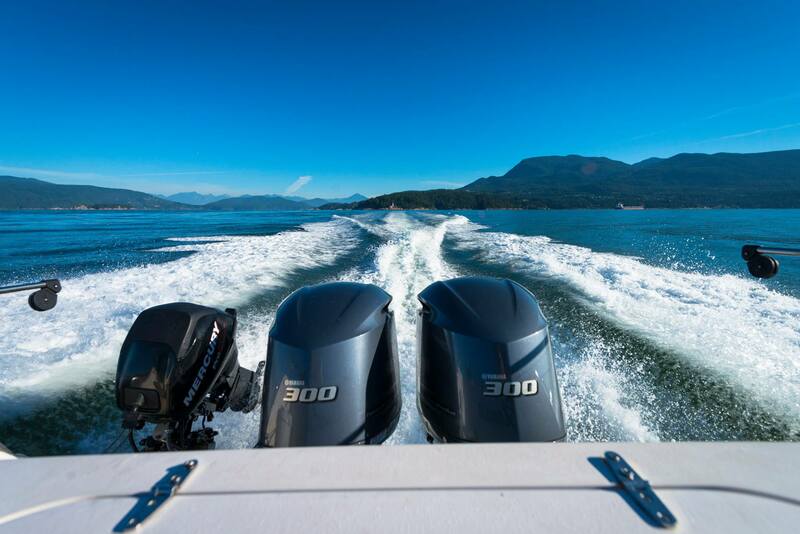 Our colourful fleet of new and well-maintained boats and boards is located in Snug Cove on the Bowen Island Marina dock -- a 20-minute ferry ride from Horseshoe Bay. The kayak season starts approximatley the beginning of April and we are open every day until mid-October. Hours of operation may vary due to wind, weather, and tidal conditions. 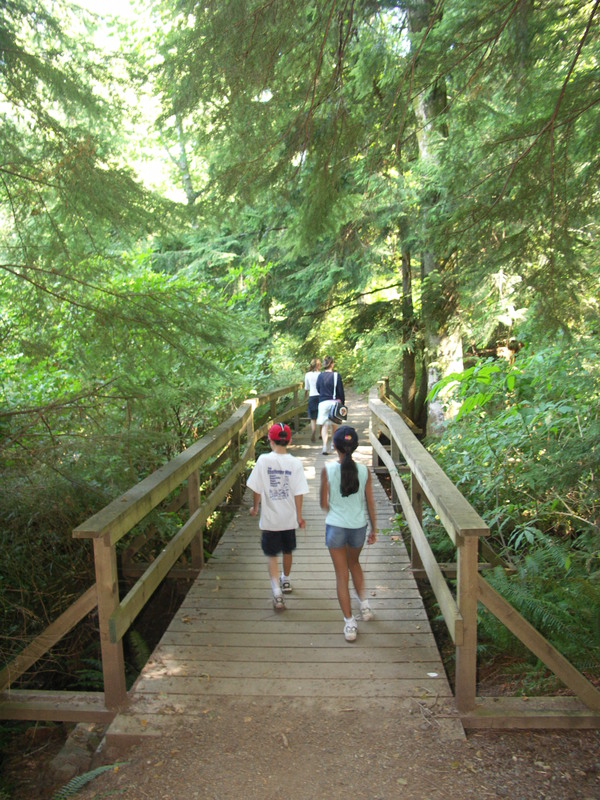 Hiking and walking the many trails on Bowen Island is one of our most valuable natural amenities to offer our guests. Whether the easy tree covered 4K / 3 mile hike around Killarny Lake or the more intensive day hike up to the summit of Mt. Gardner you will love the quiet sounds of nature, the fresh oxygen rich air and the spectacular views. Read more about hiking Mt. Gardner here. For a donation you can pick up the Bowen Island Trails hiking map at the Visitors center just after you esit the ferry. The visitors center is next door to the library. Metro Vancouver maintains this gorgeous expansive park on Bowen Island. Bring along a picnic or buy a picnic lunch and enjoy one of the many park areas just within walking distance of the ferry landing in Snug Cove. For more information about Crippen Park visit the metro Vancouver web site here. Bicycling on Bowen is a major mode of transportation for the physically fit. We have many visitors that arrive via bicycle........know that Bowen is a series of hills from one end to the other. If you under estimate the challenge, no worries, the Bowen shuttle bus will be along within the hour and you can hitch a ride with their bike rack. Currently there are no bike rental shops on Bowen. 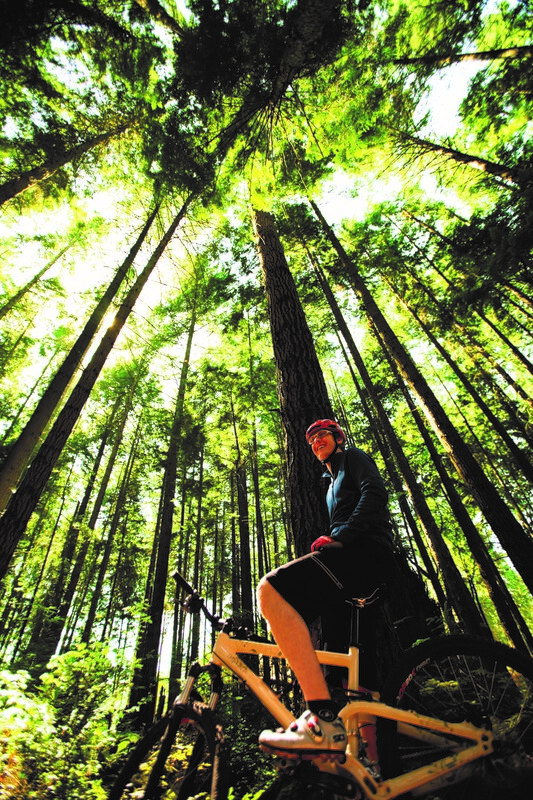 Although, consider renting a bike from English Bay, Granville Island or Stanley Park during your stay. This 9-hole golf course carved from a West Coast rainforest on Bowen Island, BC features magnificent views of Howe Sound. The 3,003 yard, par 35 layout designed by Russ Olson offers three sets of tee boxes that ensures challenge and reward for players of all skill levels. Follow their daily fishing report here. Before you go fishing you will need a fishing license......go here to apply on line. 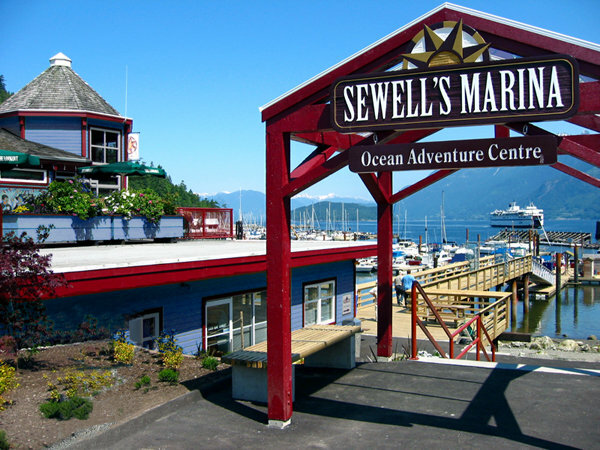 Since 1931 Sewell’s Marina has introduced over 3 million visitors to our Ocean Playground in Howe Sound. Fishing Derbies, Sea Safari Eco Tours, Company Scavenger Hunts and our famous self-drive boat rental fleet have provided great days on the water. Join us on the “deck of the bay” and enjoy the ocean view, the majestic mountains, some great conversation and if you want to feel freedom, wind in the hair and spray in the face or the thrill of a fishing rod; we can help you get to your next dream! Sewell’s Marina at Horseshoe Bay, West Vancouver is one of the premier moorage locations in the lower mainland. The best boating, fishing, wildlife, sailing, marine parks, quiet bays and island retreats are just minutes from your protected berth in our marina. Howe Sound offers over 300 sq. miles of sheltered islands and bays to explore. The Sunshine Coast and Gulf Islands are within easy sailing distance of Horseshoe Bay, West Vancouver. 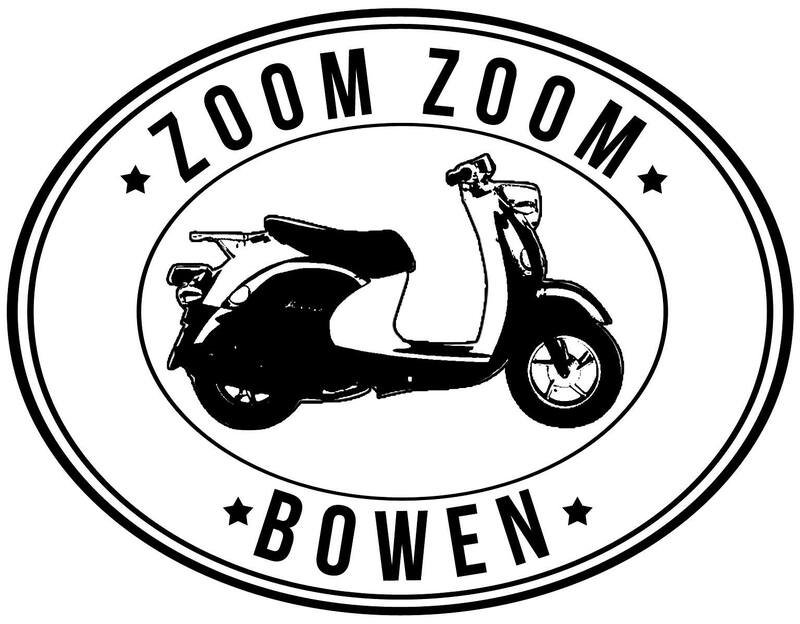 Whether you need a scooter for a few hours, or a few days, we can accommodate your needs. Our Yamaha Vino 49cc scooters will allow you to explore the island, from its stunning beaches and trailheads to its many restaurants and shops. Bring along your soccer ball and cleats and join in a co-ed pickup game or two. Mingle with the local soccer enthusiasts and keep playing the game. Check out their Facebook page to see when the next pick up game is happening..........young to old.......everyone joins in for the fun of the match. Ask us about summer soccer camps for the youth. 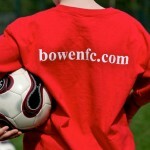 Your soccer player will love playing on Bowen.....and maybe even among the deer grazing on the field. A few years back the Bowen Island Football Club along with a government grant built a half field in astro turf with lights located at the Bowen Island School. This ended up being a fantastic gathering place for young kids, teenagers, and adults. True to island living there were a handful of islanders against building the field as a few trees would need to be cut down and the light pollution......oh my!! In the end, it has been a real healthy living asset appreciated by many on the island. Bowen Island has a large population of very creative people. Based on a recent national study of communities with a population of less than 50,000 people, Bowen Island was identified as the 4th most artiistic community in Canada. 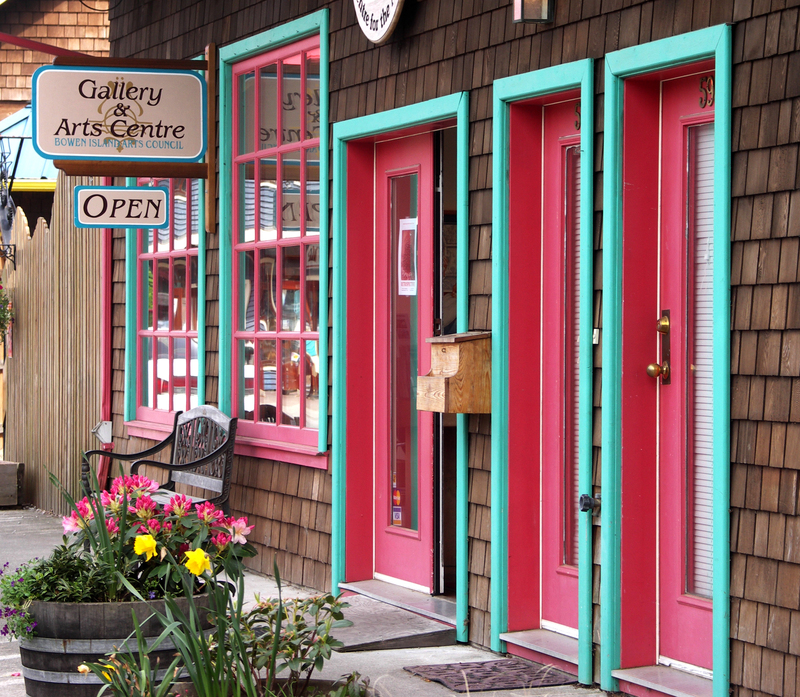 The Bowen Island Arts Council (BIAC) is dedicated to representing and coordinating the creative efforts and programs of all cultural groups on Bowen Island. BIAC strives to stimulate the development of arts and cultural projects and activities and promote and encourage the advancement of the arts and opportunities for local artists. 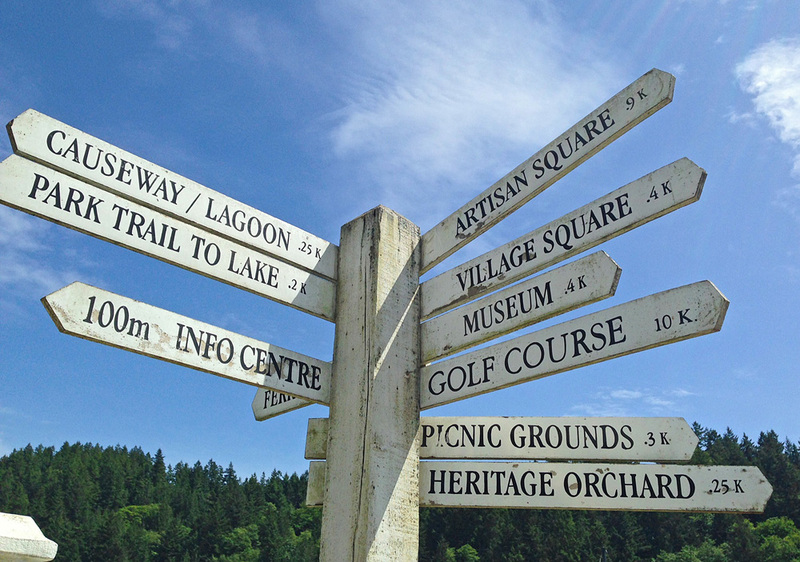 BIAC also fosters an interest and pride in the cultural heritage and history of Bowen Island. The artists of Bowen Island welcome you to our creative island! 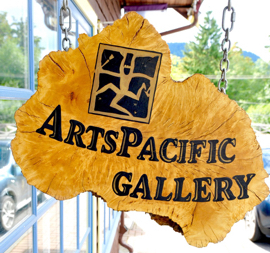 Plan a visit to the Gallery @ Artisan Square to view the latest exhibiit of local artisans. Winter hours: Friday - Sunday, Noon - 4 p.m.
Open daily from 11 am - 4 pm. Arts Pacific Gallery is 13 artists strong. The artists are dedicated to excellence to their craft - Painting, photography, fibre arts, jewelry, gilt work, pottery, mosaics, sculpture and more. Do stop buy to purchase gifts, home decor and more. Fairweather Cruises, your charter boat experts representing all of the charter boats in Vancouver. Whether you are looking for a boat for a small group of 10 or a large boat event for hundreds of people we will provide all of the information as well as quotes on all of the boats that are suitable for your event. They will organize the food, beverages, entertainment, transportation to the boat making the whole process stress free. Make one call or send an email to Fairweather and we will respond immediately to your inquiry. Their mission is to make sure that you have and your guests have the best experience possible.